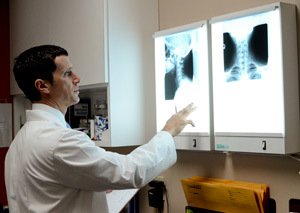 Chiropractors in Highland Heights, Drs. Duffy and Dee are pleased to welcome you to our office. We’re a family oriented practice and offer both relief and wellness care, from spinal pain to digestive problems or endocrine imbalances, we dig into your physiology to find the causes of your problem. Many patients begin care in our office with a specific health concern and then realize that Chiropractic and Applied Kinesiology truly is all about optimal health, how to get well faster and stay well longer. Since chiropractic care involves a series of visits, with each one building on the ones before, it’s important that our relationship can go the distance. As an experienced Highland Heights chiropractor we’ve found that one of the best ways to have successful patient relationships is to explain everything in advance. Here’s what you can expect at The Highland Wellness Center. On your first visit to The Highland Wellness Center we will warmly welcome you to our office. If you’ve already downloaded and completed your admitting paperwork, great! If not, our friendly front desk person will help you complete all the necessary forms. After completing your initial paperwork you will have a consultation with the doctor to review your health history and discuss your health goals. If the doctor feels Chiropractic is likely to help you, a thorough exam and work up will be performed which may include: extensive vital statistics, a detailed physical, orthopedic, neurological, and postural exam, as well as Applied Kinesiology testing. Your doctor may also take X-rays if needed. Treatment may be given on the first visit if directed by the doctor. Your doctor will explain your exam and testing findings on your next visit once he has had a chance to review everything in more detail. The doctor will discuss with you what is wrong, how we can help, your financial obligation and how long the therapy sessions will last. If the doctor feels we are unable to help you we will direct you to a Physician best suited for your condition. 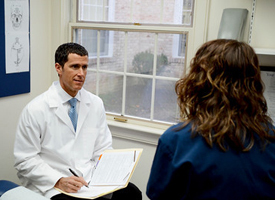 If the doctor feels that we are able to help you, you will then receive your first treatment. At each visit we re-exam your posture and identify muscle weaknesses that are causing or exacerbating your complaint. We adjust the misalignments and correct the muscle weakness so your body holds the corrections better. If you are sick and tired of being sick and tired? In pain? Call our Highland Heights chiropractic office now to schedule your appointment. As always we offer no charge consultations. Take control of your health now!